Looking back this weekend, I realized that I have yet to dedicate a review to some of my favorite watering holes here in Victoria. Sure, I’ve mentioned them, maybe even rated their wings, but where’s the page dedicated to them? Time to remedy this! And I shall start with the place me and wife know as “Old Faithful”. Swan’s Brewpub. I can remember when I was a young man and living in Ottawa, some friends of mine who were from Victoria and periodically came back to visit family would always bring some Swan’s beer home with them. Yeah, it was always a treat to enjoy a few frosty Swans and watch some our favorite shows in those days. If they’re reading this, hi Aaron, hi Megan! Miss you guys! Since moving to the west coast, dining in at Swan’s has been a recurring treat. 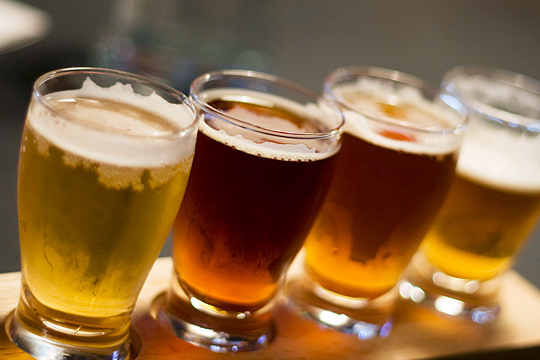 Not only are their beers faithful examples of craft brewing, their food is also a tasty treat. It’s little wonder then why my wife and I refer to this place as “Old Faithful”. Alas, some specific examples feel necessary. First up, the taps! Legacy Ale: This ale you won’t find on the regular menu. It’s an anniversary ale, which means it was made in honor of the brewery’s anniversary back in 2007. Hence, it is only available periodically, and let me tell you… it is one of the best beers I’ve ever had! Comparable only to McAuslin’s Millennial Ale, this Barley Wine has it all. Rich, mahogany color, smooth malty goodness, and a semi-sweet touch with just the right hop finish. I give this beer 6/5. Yes, I know that doesn’t make any sense, but who cares? I love it! You might have noticed, most of these beers are rated pretty close to each other. But that’s a testament to their quality. And now, the food! However, know that the menu has changed since we ate there last, so some of these items might be out of date. Hmm, seems I did it again with the food. Just about all them score within the eighty-percentile. But hey, that’s how it is. Good food, good beer, good times. If you’re interested, here’s a link to Swan’s full and updated menu. Check it out, preferably in person! Not that long ago, I tried my hand at homemade curry paste. The results were… shall we say, less than mild? Yes, I’m still getting the bugs out of the recipe, not literally of course, but I maintain that homemade is best. Which brings me to something else I’ve been working on of late: a list of suitable, spice-appropriate beers. Granted, its not exactly rocket science. Pairing beers with spicy food is fact more of an art, and highly open to interpretation. Nevertheless, it generally is wise to avoid anything too heavy, hoppy, or best when served warm (aka. stouts, porters, ales, etc). In short, when dealing with spicy foods, one should stick to lagers, pilsners and other beers that offer a clean, crisp taste and are best when served cold. With that in mind, I’ve assembled a list of just a few that are particularly good in this respect. Interestingly enough, most happen to be from the very parts of the world that are famous – or infamous – for producing some of the world’s spiciest food. And just to be helpful, I’ve grouped them from best to worst, at least according to my own taste and standards. Sapporo: 8.5/10 A Japanese draft lager that dates back to the Meiji period (19th century). Like most Asian breweries, it was established by a German brewmaster and it shows in the taste and character of the beer. Although not surprising or particularly complex, it is a very reliable beer that is at once clean, crisp and quite tasty, with a mild bitter finish that does not interfere or enhance the taste of spicy food. Tsingtao: 8/10 Compared to some of its competitors, this Chinese beer, named after its town of origin, is somewhat hoppier. However, it still retains the characteristic flavor of a German lager; crisp, clean, and not overpowering. As you can imagine, they can easily be found wherever Chinese cuisine is available, and pair well with the spicier Hunan and Szechuan dishes. Dab: 7.5/10 From Dortmund, Germany, the name is actually an acronym for the brewery itself (Dortmunder Actien Brauerei). I would have to say that this has got to be one of the cleanest beers I’ve ever tasted, meaning it has a light taste and little to no aftertaste. Not the best standalone beer, but excellent when paired with something spicy. One can expect the heat not to linger when this exceptionally light lager is introduced to the palate. Red Stripe: 7.5/10 Next, we have Red Stripe beer, Jamaica’s famous export lager. It might seem just the slightest bit stereotypical to assume that warm-weather climes would produce beer that goes well with hot food and hot weather, but this beer certainly lives up to that reputation. Like a true lager, it is light, refreshing and has a gentle, lingering hop aftertaste. And like just about all Caribbean brews, it goes well with Jerked food, curry, and spicy Roti. Tiger Beer: 7/10 Last, but not least… From Singapore, Tiger is the flagship brand of beer for this city-state/nation that dates back to 1932. Its flavor is reminiscent of pilsner, the hops tasting sharp and distinctively Czech, and maintains a well rounded, light taste that finishes quite clean. All of this makes Tiger quite drinkable and well suited to dishes featuring chilis, curry, or other such delights. I could go on, but this is making me hungry AND thirsty! Time to seek out spicy food and a cold beer! Until next time, keep sampling my friends! Surgenor Brewery, We’ll Miss You! Just got back from Comox where I was visiting with friends and family, as I periodically do. I was hoping very much to find a sample of Surgenor’s latest beer – In Seine Pale Ale – and instead came away with a dire piece of news. 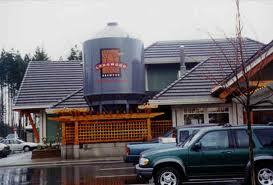 It seems that Surgernor, Comox’s own brewhouse, has closed down! Naturally, I wasn’t too surprised, there were rumors that this upstart brewery – just a few years up and running – was falling on hard times. After experiencing a setback with their aluminum bottling – which I still think was brilliant and made their beer taste fantastic! – it seemed they had encountered some problems with government regulations and distribution. Naturally, there’s only so many setbacks and frustrations and upstart business can stand, and so its owners decided to close up shop and move on. 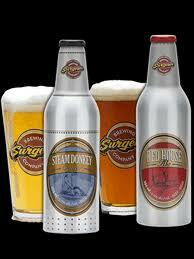 So it seems only fitting that I dedicate this next review to Surgenor’s line of signature beers. Not only were they tasty, creative choices, they were also a truly local operation, making beers that were named in honor of Comox Valley’s history and heritage. #8 Shaft Black Lager: I take full credit for this one! No joke, when the brewery was first starting up, they were taking suggestions from the community on what beers people would like to see them make. Given the fact that they were naming their beers in honor of Comox Valley’s heritage, I thought a dark lager or ale named in honor of the Cumberland coal mines was a good idea. A little over a year later, at Nautical Days, what do you think they’ve got on tap at the beer tent? In Seine Pale Ale: Another name that is one part Comox history, one part delicious pun, In Seine honors the fishermen of the West Coast. Unfortunately, I have yet to sample this one, and now that the breweries shutting down, I will scowering the island looking for some. Expect to hear about it soon! Rest In Peace, Surgenor’s. And if you get the chance, get back in business! See what you can do about bringing those aluminum bottles back, that was lighting in a bottle! Longwood Brewpub: 5/5!! Once a runner-up to Craig’s because of a lack of spiciness, this baby now makes the best wings on the island! While the jalapeno wings have been around for some time, they possessed just a little kick, not the spicey punch in the gullet I personally crave! But with the addition of the suicide hots, that’s all remedied! Plump, tasty, well-prepared, and now nice and spicey! Best wings on the island! Canoe Club: 4.5/5 Comparable to the better wings I’ve had on the island as of late, and with the decline of some of my favorite places, the Canoe Club just might become my new go-to wing place! They were plump, juicy, had a good level of spice, and came with a damn good blue cheese sauce. And unlike some other places, the sauce seemed to consist more of just Franks Red Hot. Nothing personal, but if you’re making wings, it seems lazy not to make your own sauce! Craig Street Brewpub: 3/5… A sad day indeed! Not long ago, my wife and I went back to our favorite watering holes, right up there with Swans and Spinnakers. I was wary, having had wings there that were clearly different once already. But this visit confirmed my worst fears: they’ve changed the wings and not for the better! They took what was an original and turned it into a generic knock-off! Whereas they were trim and tastily glazed with sauce, now they’re thick skinned and slathered in it! And the sauce has changed too, I swear to God its just Franks Red Hot with some added chili flakes! Not impressed Craig’s! You had the best wings and for some reason, you decided to downgrade. And the serving I had last time was dry, overcooked, and oversauced. I choose to believe this was an aberration, which is why I’m only dropping you two grades! (New mention!) Glo Nightclub: 3.5/5 located on the Gorge, this posh “Euro pub and Grill” does a pretty good spread. Their wings are not stellar, but they get the job done, especially when paired with a spinach salad (never liked the beets though!). The sauce is basic, Frank’s Red Hot, but at least they tell you that up front. And like most of the menu, they’re not cheap, but when you sit down and take in the atmosphere, decent food, many taps and house music playing the background, you’ll know where your money went. Been a few times and plan to go back! Avenue, Comox: 3/5 Okay, technically they’re not wings. They are “chicken drummettes”. What’s the difference you ask? You pay a lot more for them and there aren’t that many! But they are nevertheless tasty and satisfying, both in terms of meatiness and flavor. Christie Carriage House, Victoria: 3.5/5 Not bad, both the Louisiana and the Five Alarm are spicy and relatively plump. Except on Wing Night! Then they get a bit skinny, but everybody knows wing night when they get rid of their B-grade stuff, and its cheap, so you pretty much get what you pay for! Otherwise, not the best I’ve had, but pretty good overall! Also best when enjoyed with a nice cold brew, and the house has many taps! Craig Street Brewery, Duncan: 5/5 Yep, best wings I’ve had on the island. Not only is the chicken healthy (that is to say, neither the hormone-fed tasteless variety, nor the skinny kind), the sauce is awesome. My favorite is the suicide hot! Holy crap it’s hot! 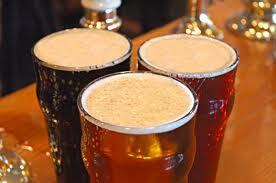 And best when washed down with a few of their microbrews. Fat Teddy’s, Mount Washington: 2.5/5 What can I say? You get what you pay for, and Fat Teddy’s isn’t exactly gourmet. It’s a nice place to sit and have an after-ski beer, and these wings fit that bill just fine. And they got a relatively nice spicy number, though I suspect its just Franks Red. 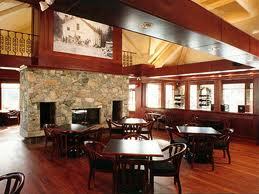 Longwood Brewpub, Nanaimo: 4.5/5 Runner up to the Craig’s. Plump and delicious, and the beer-b-q sauce is one of the best I’ve ever had. It comes in at a close second for one reason only, no spicy flavors! I need a little kick in my wings. Lorne Pub, Comox: 1/5 Worst wings I’ve had since moving to the island, possibly ever! Not only were the wings dry and emaciated, they were over fried and the sauce came on the side! And it was obviously just a cup of tabasco! What the hell man! Spinnakers, Victoria: 3.5/5 Not bad, definitely not bad. But not exactly stellar given the ostentatious nature of their menu and beer. The beer-b-q sauce sure is decent enough, and the chicken is neither too plump nor too skinny. But dang it if I don’t want a spicier flavor on the menu! Swan’s Brewpub, Victoria: 3/5 Nothing to write home about, but they’re not offensive, /just not very special. They aren’t very plump, and the sauces, while somewhat creative (beer-b-q flavor is never a bad idea! ), don’t put them over the top. The Black Fin, Comox: 3.5/5 These are a little harder to rank. Pound for pound, the Fin makes a damn good wing. They’re plump and the Louisiana sauce is hot, hot, hot! On the other hand, they don’t always add up to a pound! Ten bucks is a lot to pay for a mere hand-full. If they get this squared away, they can expect a better review. Note: this list has seen been updated due to some changes and one instance of fire. To the Lorne, my humble apologies for criticizing your wings. Had I know Comox’s most historic building was about to burn down, I would have kept my mouth shut and warned you about the impending crisis! Rest In Peace! This review is from awhile back, dated May of 2011. But since its of one of my favorite restaurants and watering holes on the Island, I can’t NOT include it. If you’re in Nanaimo, check it out! I’ve been wanting to do this review for awhile now, but lacked the means. It’s a venerated place that’s been around for close to a decade AND was voted as Nanaimo’s best pub for four years, running from 2006 to 2009. Yep, I am referring to Longwood! For starters, this place scored immediate points with me in that they are a brewpub. That is to say, they are a microbrewery and make their own beer on the premises. I’ve sampled most of them and can attest to them all! Longwood Ale: not bad as a starting ale. It’s mild, not too bitter or complex on the palate, clean aftertaste. Inoffensive all around. Czech Pilsner: a very nice variation on the traditional Czech beer, clean, crisp, with a nice lingering, but subtle, aftertaste. India Pale Ale: many people have a problem with this traditional ale. It can be overpowering at the best of times, too fruity and too hoppy all at once. But I seriously enjoy this version. It has a nice fruity taste, plenty of aroma and a good solid bitter aftertaste. Like a nice punch in the gullet! Dunkelweizenbrau: this is a nice combination of a dark beer and a wheat beer. It has a tawny flavor that works on a couple levels. It is subtle, deep, and yet refreshing, everything you’d expect from a dunkel and a weizen. Weizenbock: haven’t tried this one in awhile, but I do recall how much I enjoyed it! A strong wheat ale is one nature’s most perfect foods (that’s right, beer IS food! Deal with it!) Strong yet smooth, refreshing and tasty. Extra Special Bitter (ESB): a favorite of mine, and Longwood’s happens to be one of the best I’ve ever tasted. It’s got all that’s right about a bitter to it. A nice, crisp, bitter taste with a lingering, tawny aftertaste. The quality comes through in the careful balance of lightness, bitterness, and deep complexity. Not sure how they do it, but I like it! Oatmeal Stout: geez, everybody’s doing an Oatmeal Stout these days! And you know what? Most of them aint’ half bad! This one is one such none-too-bad number. It’s got rich, deep hop tones with a heavy tannin flavour that comes from dark, roasted oats and barley! One of the better microbrewed stouts I’ve had on the island. Framboise: this one is not a favorite of mine, but only because I don’t do the fruity beers if at all possible. Still, if I were a fruit beer guy, this would be my go-to! It’s got a genuine tart and sweet rasberry flavour that is a perfect compliment to its light, refreshing flavour. Nothing artificial about it. Barley Wine: I took a case of this camping to Pachena Bay. In all honesty, its not the best barley wine I’ve ever tasted. Barley wine, by nature, is both sweet and hoppy, richly malty and complex, and has a strong tannin flavour. It’s dark beer on steriods, essentially. This one has just about all of that going, except for the sweetness. It’s not especially hoppy either. Mainly, its just strong and tawny. In a nutshell, good, not great. Hate to say it considering how much I love the place and it’s beer, but it’s only because they set the bar so high that I felt a tad bit underwhelmed. They have others, but I either can’t remember what they taste like or haven’t had them out of lack on interest. Hope the above reviews are enough for the curious and enthusiastic. Okay, now to the food! Crab Cakes: I’ve been to many pubs that served crab cakes before, sampled them whenever possible, and I thought that these were among the best. They were fresh, crunchy on the outside, rich and delicious on the inside! Sweet Potato Fries: always a favorite of island pub-goers! Again, one of the best variety I’ve tried. Rivalled only by Swan’s in Victoria. 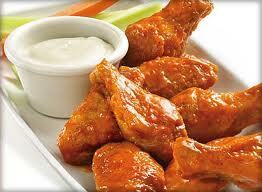 Wings: I’m a wing man! I go to bars specifically to see how their wings stack up. The whiskey bbq jalapeno wings are some of the best I’ve had. Not too spicey, which I love and demand, but they got a real nice rich flavour that is perfectly complimented by some blue cheese dressing. Not to mention they are always plump and never overcooked. Hate it when that happens! Spinach Salad: a nice light salad, good combination of sweet, fresh and salty flavours. A perfect accompaniment to a plate of wings or fries and some beer. Brewmaster’s Salad: looks good on paper, looks good on your plate, not so good when you taste it though! You’d think the combination of seafood, chicken cheese and salad would be an instant hit, but it isn’t! It’s cold, fishy, and overpowering. In terms of the overall menu, it’s a rare miss! Burger: it’s awesome! Handmade patties, grainy mayo, and the smoked cheddar is especially good! Beef Dip: awesome for the same reasons. Piled high shaved beef that is always fresh when I order it. And of course, smoked cheddar to compliment. Fettucini: one thing I love about their pastas is the freedom to make your own. I have tried the fettucini with chicken and cream sauce, and it was amazingly tasty and satisying. In total, I give Longwood’s a 9 out of 10. That one point deduction is largely because of the brewmaster salad, but the remaining nine points are well deserved! The reliable menu and great beer selection make for a killer combination that brings me back over and over. The only other drawback is the price, dinner and beers is kind of expensive, but well worth it. In short, when you eat the food and drink the beer, you’ll know where that money went! Here is my latest restaurant review, dated October 16th, 2011. Here’s a restaurant and brewpub that I’ve been wanting to review for months, but never seemed to get around to. It was completely by coincidence that I ended up there one night, but I figured as long as I was there, I might as well take notes! In addition to their taps, I was able to sample a small array of their food and came away quite pleased. As usual, I will start with the taps! Now for the food. It doesn’t come cheap, but when you eat it, you know where the money went. Flatbreads: I can honestly say that the presentation alone was worth the price. Served in margherita pizza fashion, it consists of cherry tomatoes, basil, crushed olives, arugula pesto, olive oil and smoked sea salt. Fresh baked and tasty! Wings: Comparable to the better wings I’ve had on the island as of late, and with the decline of some of my favorite places, the Canoe Club just might become my new go-to wing place! They were plump, juicy, had a good level of spice, and came with a damn good blue cheese sauce. And unlike some other places, the sauce seemed to consist more of just Franks Red Hot. Nothing personal, but if you’re making wings, it seems lazy not to make your own sauce! Creme Brulee: Like wings, spinach salads, and beer, here is another thing that I like to sample wherever I can! And the Canoe’s was not only delicious, but also excelled in the key departments of consistency and firmness. Ice Cream Sandwich: I can’t imagine a desert worth dying for, but I think this one might be worth killing for! Decadent, chocolately, good vanilla ice cream, and with fresh baked tasty cookie to sandwich it!